HomeCan logos receive copyright protection? Can logos receive copyright protection? But the truth is that there is much misinformation passed around in the sign business about intellectual property law in the US. The simple answer to whether logos can receive copyright protection is actually, “yes and no.” For a work to have copyright protection, it must meet a certain level of originality. Most simple logos do not meet the criteria. Many ornate logos do meet the criteria. “What Is Not Protected by Copyright?” Among other things, “titles, names, short phrases, and slogans; familiar symbols or designs; mere variations of typographic ornamentation, lettering, or coloring…” —Copyright Basics, Circular 1, page 3, US Copyright Office. Yesterday I put the Populous logo on a sign for their Kansas City office and I was struck by how simple and generic it looked. Populous is an international architectural firm that dominates the market for designing large sports venues like Yankee Stadium in New York, Wembley Stadium in London, Soccer City Stadium in Johannesburg and many, many others. The company’s logo is simple type with no ornamentation. It does not meet the criteria for US copyright protection. The Subway sandwich logo is more ornate. There are embellishments and stylized lettering. Does it have copyright protection? No. Subway tried to get it, but it was denied. 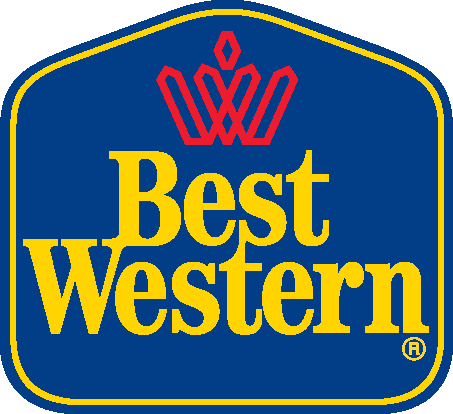 The well-designed Best Western logo, with its five-sided shield and graphic crown was denied copyright protection in 2006. More recently, the Geek Squad logo was denied copyright protection in 2012. In appealing the decision, Geek Squad claimed that its logo was not much different from the Hot Wheels logo in its level of creativity. 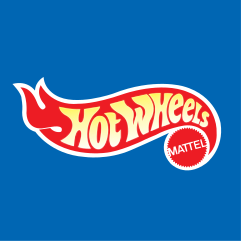 The Hot Wheels design had been given copyright protection previously. But in its decision, the Copyright Office determined that the Geek Squad design was not in the same category as the Hot Wheels logo, with its flame “pictorial” incorporated into the lettering. What do you think? In the final analysis, to most companies, it doesn’t matter that their logos cannot receive copyright protection. Because trademark law can protect a logo that represents a company’s goods or services. And trademark protection is far more suited to safeguarding logos. Trademark protection is more customized. It’s narrower in its scope in some ways, but more comprehensive in others. Subway owns the trademark “Subway.” If another sandwich shop calls its sandwiches “Subway” sandwiches, it is likely an infringement, even if the design is different and if its signs don’t look like Subway signs. What if a sandwich shop by another name has signs or logos that look like Subway signs, but they don’t actually say subway? It could still be a cause for a trademark infringement suit from this standpoint as well if the competing logo is confusingly similar. What if another sandwich company used a name that is spelled and designed completely differently but still pronounced subway? It could still be confusingly similar and a possible infringement. Many companies get trademark protection for their logos both as a word, and a separate registration for the distinctive design of the word, with it shape, colors, etc. On the other hand, “Ace” is a hardware trademark, but another company owns an “Ace” trademark, too. Ace Bandages. Both words are protected trademarks in their respective industries. Since the two industries are so far removed from each other, what is the likelihood of confusion between the Ace brands? Very little. So both enjoy trademark protection and neither is an infringement of the other. The criteria for determining infringement has to do with, among other things, whether confusion is likely to be caused in the minds of consumers. For example, from a distance, red, white and blue stripes on a real estate yard sign could make viewers think the property was listed by the real estate company ReMax, or that the company listing the property was associated with ReMax. So these stripes are protected by a trademark registration. This registration is in addition to other trademark registrations that ReMax has, such as their balloon logo. Trademark law protects not just words, but colors, shapes, even sounds associated with products or services. No other telecommunications company can use the T-Mobile shade of magenta in its advertising, for example. The color is protected by trademark. The shape of the Coca-Cola bottle is protected. The NBC chime sound is protected. Trademark, as opposed to copyright, is not so much designed to prevent copying, but to prevent confusion. So whether logos can be protected by copyright or not is viewed by many companies as a moot point. Trademark law usually provides all the protection needed. Since writing this post I have learned that recent litigation in Federal court has caused Remax to lose trademark protection for one of its marks. Specifically, the tricolor stripes pictured above was declared invalid for use as a trademark by the real estate company. 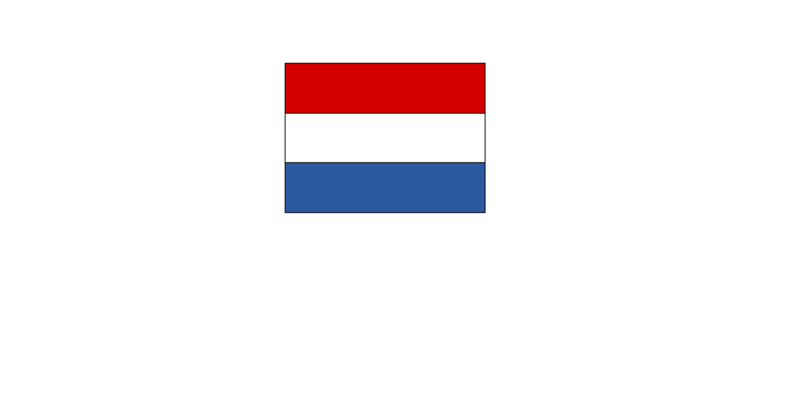 It was determined by the court that the logo replicates the national flag of the Netherlands in violation of US law. I will relate the account of this case on a later blog post. The case is noteworthy in that Remax has successfully defended its trademarks many times in the past, and the trademarks have been in use for many years.